Elite Golf Group LLC. is a management team of PGA Professionals, Directors of Instruction, Past Tour Players, and Travel Specialist that run over 75 worldwide golf schools, 20 golf schools’ web sites, discount travel sites, a discounted golf travel site, a golf teachers’ organization in 15 twelve countries. Because we have been in the travel and golf school vacation business for over 30 years, we have seen the good and the not so good in the industry. When we started, there was no Internet and no web sites. Video analysis was a new training tool, Ronald Reagan was President and Greg Norman was the #1 golfer in the world. For over 25 years, we have been running quality golf school programs and helping people vacation for less. When we started, there were only a couple of golf instructional schools. Now with the Internet, there are hundreds, most having come along in the last 5 years. It amazes us that some of these “one-on-one” and standard programs are charging customers huge inflated pricing, offering very little in their package except for lessons, golf, and hotel. So why are people paying crazy pricing for these programs? Because they believe that their pros are the best, at least that is what they tell you, right? People stop paying more for something that is not worth more money! We are here to tell you that we will get the same or better quality professional, same or better quality program, same or better quality resort, and an all inclusive package that blows the competition away, for a lower price, “Guaranteed”. Just a little word of advice: if you look at a golf school package that seems too high then it probably is. They will give you reasons for being more expensive like: they have the best pros, that they have 1 on 1 instruction, that the hotel is 5 stars, and the golf course is private and comparable to Pebble Beach. LET GET REAL. Their professionals don’t have a secret wand; golf is golf. All seasoned PGA and LPGA instructors have great knowledge and experience. Don’t pay $100.00’s or even $1000.00’s extra because a school tells you they have the best instructors or locations. All PGA and LPGA instructors have learned from the same books and manuals. Unless you’re getting Butch Harman, why go to a high priced Butch Harmon School to get a professional that can’t teach you any more than his experience will allow? What we are saying is that there is really no reason to over pay for your next golf school vacation; higher pricing doesn’t mean better instruction. All things being equal on the instruction side, the best bang for your buck is what you should be looking for in any golf trip or vacation. With the Internet, you have so many golf schools to choose from and they all say that they are the best. Go with the people that have been doing it the longest, not the people that used to work for the people doing it the longest. 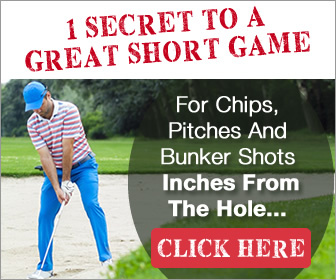 If you haven’t found a golf school package on this site that meets your needs, then we would like to provide a comparative market analysis if you are interested in finding the best value golf school package for you, your friends, or your family. Our golf school family has been helping people enjoy and play better golf for over 30 years. We have packages for every budget, all with some of the country’s best award winning PGA, LPGA, and PGTCA golf instructors. We can customize any package with airfares, rental car, food, accommodations, meeting rooms and an award winning golf school. Let us know what you need, and we will guarantee the lowest prices. For additional information on other worldwide golf schools or discount travel click on any of the links below.